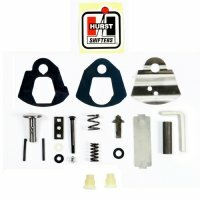 HURST Early COMP PLUS 4 speed Shifter Master Rebuild Kit, for welded handle "
Includes all parts in HUR-MRK Plus Nylon Pivot Spacers For Welded Handles. All genuine Hurst built components...NOT reproduction parts. Style reverse Plunger. If you have this style, you have to REUSE YOUR Plunger. with Flat Mushroom shaped Plunger as shown. 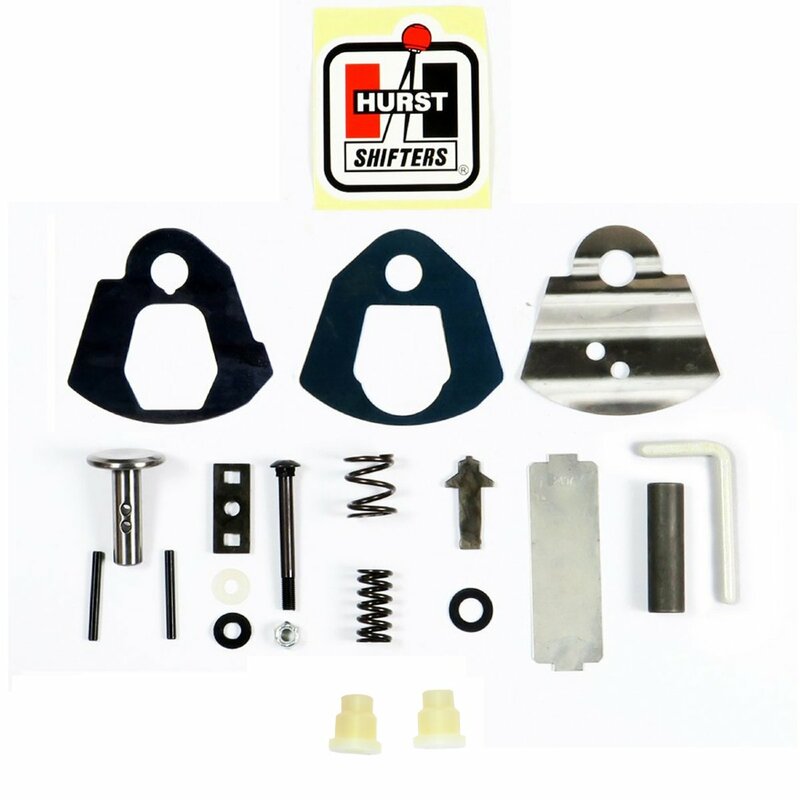 so if you want us to rebuild your shifter, click on the link below for more information.